We are committed to helping people get on track to ensure compliance with state law and help them receive a state Medical Marijuana Card as quickly as possible. Come visit us and get to know our local and friendly staff, which includes medical marijuana experts, doctors and a great patient care team. 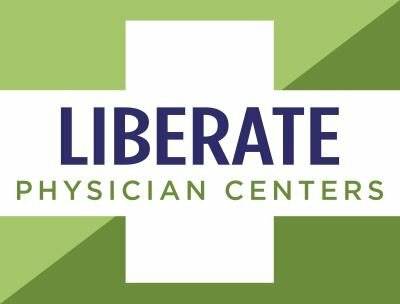 The Liberate team in West Palm Beach are experienced, knowledgeable, caring professionals who will treat you with respect and who know how to get results fast! John has assumed overall management responsibility for Liberate in Florida, including the company’s flagship office in West Palm Beach which opened in October of 2015. John previously spent over 30 years in healthcare management, including principle account management responsibilities for one of the largest HMO (Healthcare Maintenance Organization) nationally and several years with Proctor and Gamble. Paula obtained her RN in West Virginia where she first fell in love with Emergency Medicine. She continue training BLS and ACLS to the interns and residents at Tampa General while employed as Triage Nurse in their Emergency Department. She has worked from hospitals to homes and is now helping people heal in this fairly new practice of Medical Marijuana.